RC pilots love to fly more than anything. This guide looks at the growing demand for the RC helicopter RTF (ready to fly) models. 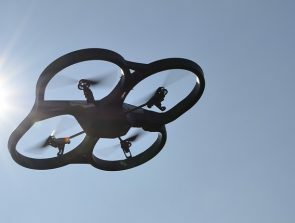 The popularity of drones has also soared in recent years. 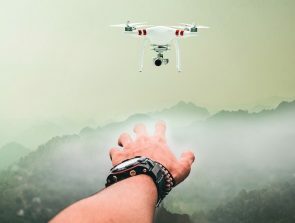 The widespread appeal for drones, though, is aerial filming and photography. An RC helicopter is more about flying than it is filming. 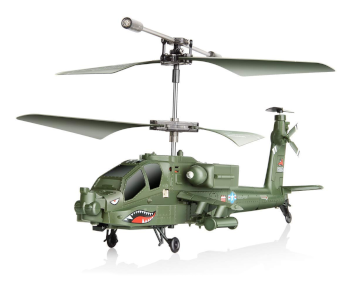 This guide reviews 8 RC whirlybirds for all budgets and skill levels. Keep reading this short introduction if you’re new to RC helis. It only takes a few minutes and is sure to help you make a better buying decision. Or, jump to the reviews if you’re a skilled pilot who only wants to check out the latest models. Shatter-proof design, front-facing LEDs, fast USB charging time. Small and lightweight, sturdy composite frame, self-leveling. Panic button, impact resistant, brushless motors. The RC world uses a lot of acronyms and abbreviations. It’s important to know at least what the most used ones mean. They make reading descriptions quicker and save shoppers from making buying blunders. The one we’re using here is RTF which stands for Ready-to-Fly. That means the heli comes with everything you need to fly it right out of the box. RTF models are ideal for novice pilots. ARF means Almost Ready to Fly. These models need some extra things to complete. What other parts the craft needs depends on the model. All ARF helis arrive with a pre-built airframe. The components required to fly the bird can include things like servos, electronics, transmitter, and receiver. Always check the “Needed to Complete” list for parts and accessories with AFR helicopters. BNF means the model is Bind-N-Fly. The only thing missing in the box is a transmitter (Tx). Users get to pick a Tx of their choosing and then bind it to the receiver. PNP stands for Plug-N-Play. PNP model helicopters need transmitters, receivers, batteries, and chargers to complete. All models on this page are Ready to Fly (RTF). Knowing the other terms is useful should you want to search for RC helicopters different to the ones here. Ready to fly choppers are not equal. They can vary in price, type, features, and ease-of-use. Radio-controlled whirlybirds are harder to operate than drones and fixed-wing aircraft. That’s half the fun for Heli fans. Learning to control a fixed-pitch model is an excellent way to develop one’s piloting skills. There is one product from the third category at the end of this guide. Ready to Fly RC coaxial helicopters are double-bladed crafts—one above the other. The two rotors spin in opposite directions. This arrangement makes them far more stable and easier to fly than single-bladed choppers. That’s a huge attraction for novice pilots. The downside to coaxial helis are the flight restrictions. They can soon become tedious as new users develop skills and demand more challenge. Single rotor choppers have only one layer of blades and sport a more conventional look. They’re harder to control than coaxial models, but they provide more of everything. Fixed pitch helis have a weighted fly-bar and a built-in gyro. Despite that, they’re still more volatile than the coaxial options. They cost more too, but the rewards are worth the extra once pilots get good at flying them. Add anything else you can think of that matters to you. You’re sure to come up with a few wants and preferences as you read the reviews. There are 8 short yet informative RC helicopter reviews on this page. I chose these models based on personal views, the opinions of industry experts, and real user feedback. My first three are by editor’s choice for Best Budget, Best Value, and the Top Pick. The remainder is in price order from lowest to high. Our table below shows these superb models as they appear on the page. The first RTF helicopter is the Syma S109G. This Best Budget pick is a coaxial type chopper with a military-style design. It’s an excellent first choice for younger pilots. Syma’s S109G heli is a ready to fly (RTF) model that gives novice pilots stable flying experiences. It flies inside and outdoors, but only on windless overcast days (see below). The S109G comes with a couple of bright, front-facing LEDs. Its body is shatterproof and the blades (props) are flexible. That’s the kind of build you want for a toy-grade model—one that stands up to those learner crashes. The battery charges in one hour or less with the USB charger, and that’s quite decent. It’s also possible to cut the charging time down by around half using an AC wall charger (not included). The flight time on a single charge is around 8 minutes at best. That’s typical for a model in this class but still disappointing. It’s possible to swap the batteries to continue the fun, though. Note that flying in bright sunlight is not an option. That’s because the sun’s rays can interfere with the infrared transmitter. Also, don’t try to fly the heli in windy conditions as it’s far too light to control. Blade’s 70 S is an ultra-micro nano ready to fly (RTF) copter and the Best Value pick. It’s an ideal craft for beginners of fixed-pitch rotors. The model uses flybarless technology, and that’s a good thing. Blade’s 70 S is an affordable whirlybird and a capable little flier. 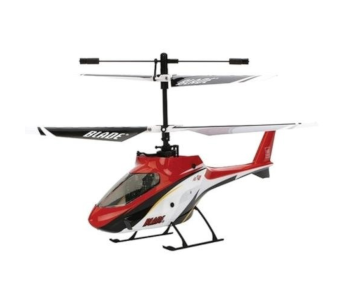 It’s a smooth step up for anyone ready to upgrade from a coaxial (double-bladed) RC helicopter. Flying without a fly bar may sound difficult, but it’s the opposite. Plus, there’s no drag from a flybar or paddles. Miniaturization and advanced technology have made flybar-less models more powerful yet more manageable. Stability, safe technology, self-leveling, and high/low rate modes add to its beginner’s appeal. Combined, they give new pilots confidence to work with orientation and practice new maneuvers. The model weighs less than 9 ounces and fits into the micro size category. It’s also robust. The durable composite frame does an excellent job at protecting the delicate electronics. 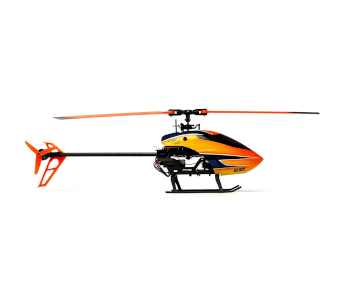 The Blade 70 S is the ideal indoor learning heli. It can fly outdoors too, but it’s not wind-resistant due to its lightweight and size. Don’t try to fly it outdoors in anything above a light breeze either. The flight time is disappointing but typical for a small model. It can fly for around 5 minutes on a single charge in ideal conditions. The short 30 minute charging time makes the brief flight time less of an issue. The Blade 230 S V2 makes the Top pick. It’s a ready-to-fly (RTF) RC collective pitch helicopter. This model is an excellent choice for experienced beginners ready to move on to the next level. There’s a lot to appreciate with the Blade 230 S V2. It’s a collective pitch heli but much easier to fly than earlier models. It’s a cracking little bird that allows pilots to progress through the ranks. That means it caters to advanced-beginners through to intermediate and advanced-level users. SAFE technology gives new owners plenty of protection while they get familiar with the model. The most valuable feature for newbies is the Panic Recovery button. It returns the copter to level flight in an instant when pressed. Anyone who’s flown model helis before will know what a lifesaver this feature is. The craft is also impact-resistant thanks to the ABS blades and reinforced parts. 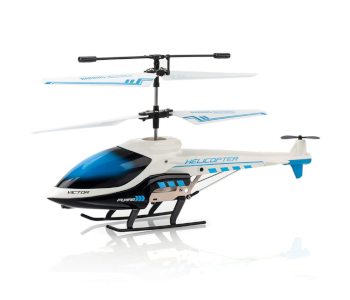 This copter has 3 progressive flight modes: stability, agility, and 3D. The stability mode restricts the flight envelope by using bank angle limits and self-leveling. Agility mode is there for when users become more skilled and confident. There are no bank angle limits in this setting. That means pilots have full control to be as sporty as they like. And the 3D mode is for performing fancy flips and rolls. Other standout features are the powerful brushless motors, metal components, and high visibility. The vivid, bright orange canopy and blades make it easier to see and maintain orientation. The short flight time is a given with models like these. Even so, that doesn’t make it any less frustrating. The Blade 230 S V2 provides just 7 minutes on a full battery. Charging time is average at around 1–1.5 hours. This whirlybird handles better outdoors than many of its rivals. It’s still not advisable to fly outside in anything above a gentle breeze. Meet the KOOWHEEL RC copter. It’s the chopper to consider if you’re a complete heli novice. It comes ready to run (RTR) right out of the box packed with many beginner-friendly features. Novice pilots can’t avoid those inevitable learner bangs and collisions. It’s all part of the learning experience. Not all affordable helis stand up well to accidents, but the KOOWHEEL S810 does. Its build contains impact-resistant ABS and semi-clad alloy to protect against crashes. The model also boasts a double protection system. One is the auto jam protection that stops the blades from spinning if they hit an obstacle. The other is the auto-power-off function. Combined, they prevent the model from flying away or hacking itself to bits. It’s an easy-to-fly craft, though, and it’sstable thanks to the built-in gyro. Even newbie pilots shouldn’t have too many bumps. The S810 RC Helicopter can fly for about 8 minutes max on a fully-charged battery. Better news is the fast 40 minute charging time, so it’s only a short wait. It’s always wise to allow at least 10 minutes for the motors to cool down between flights anyway. This heli uses an infrared (IR) controller. The problem with IR technology is that you can’t use it outdoors in direct sunlight. 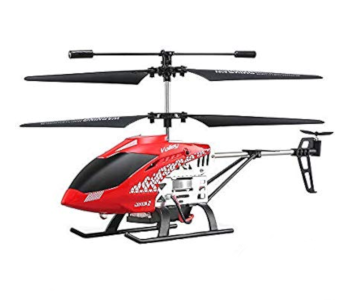 This model is the JJRC JX01 Helicopter. It’s another affordable, ready-to-fly (RTF) beginner-friendly craft. It’s best suited for indoors and comes with a bunch of vital safety features. There are some impressive features with the JJRC JX01 considering its affordable price tag. It’s so easy to fly that beginner crashes are rare happenings. The model comes with one-key takeoff and landing and an altitude hold function. The altitude hold stabilizes the heli mid-flight which gives pilots more control and therefore confidence. There are two dependable Emergency Stop functions with the JX01. The blades automatically stop rotating if they hit something. That saves the copter from damage otherwise caused by spinning blades upon impact. And the Emergency Stop button brings the bird down if the pilot needs to ground it suddenly. Examples could be if it starts to behave erratically or flies out of the line of sight (LOS). It’s typical for affordable helis like this to use infrared (IR) controllers. Unfortunately, IR doesn’t work outside on sunny days. The problem is that the UV rays from direct sunlight interfere with the signal. Because of this, the JJRC JX01 is better for indoor flying or outdoors on dull, overcast days. The flight time is average at just 6 minutes, but charging is fast at only 40 minutes. The bonus battery is something else that makes the short playing time more tolerable. It effectively doubles the flying fun to 12 minutes. Remember to allow some time for the motors to cool down between flights, though. 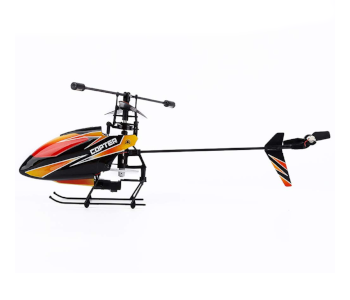 The WLtoys V911 is a Ready to Fly (RTF) mini-sized RC helicopter. It’s easy to control for advanced beginner level (not raw novice) and above. It has some exciting features to boot. Most helicopters in this price category come with 3 channel (CH) or 3.5CH controllers. They have flight restrictions and are therefore ideal for entry-level users. This puppy has a 4CH controller and is therefore more suited to advanced-beginners. It has the extra functions of sideways movements and spin. The controller also has a handy HD LCD screen that displays various flight status data. This model chopper is small and lightweight, but it’s also incredibly sturdy and crash-resistant. That’s good to know since the bird can fly fast—for a mini—and there are plenty of obstacles indoors. The WL V911 comes with a bonus battery (2 total) and boasts a fast 30 minute charging time. Flight time is only around 5+ minutes or 10 if you add the bonus battery into the equation. It’s a small copter and needs a few minutes for the motor to cool down between battery swaps. 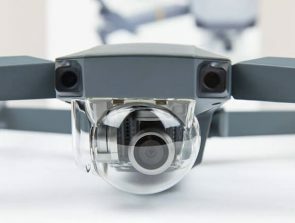 The model uses infrared (IR) control so can’t fly safely outdoors under bright sunlight. The final con is that the instruction guide is vague. Scant guides are not uncommon and frustrating for less experienced pilots. The Blade E-flite mCX2 is a ready-to-fly (RTF) nano micro-sized helicopter for beginners. It’s a favorite model among new pilots because of its good looks and easy control. This model heli is at the higher end of coaxial crafts. It’s small, lightweight, and incredibly easy to fly at the entry-level. It has a sleek design with bright flashing LEDs built into the body. The E-flite mCX2 has a precision swashplate with pilot-selectable settings. Changing control settings let pilots fly faster than the restricted default beginner speeds. Blade’s E-flite mCX2 is a stable bird that’s easy to launch and control right out of the box. The 5-in-1 control unit and heading lock function add further to its ease of use. Another of the mCX2’s significant selling points is the fast 30 minute charging time. 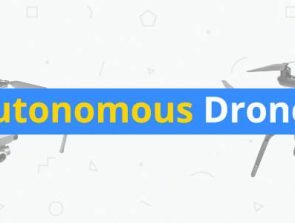 Expect 5–6 minutes flying time on a full battery. That’s slightly below average for a copter in its class. Fast charging and affordable batteries make the short play time less of an issue. A more serious downside is that it’s not quite as sturdy as some ultra-micro helis. There are numerous reports about damaging fragile parts. At least there’s a full line of replacements available if something does break. 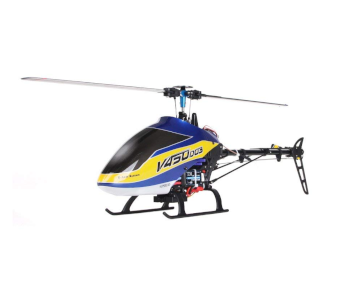 The last of our RTF RC helicopter reviews is the 6 channel Walkera V450D03. It’s a ready-to-fly (RTF) 450 size hobby-grade collective pitch chopper with a lot to offer. 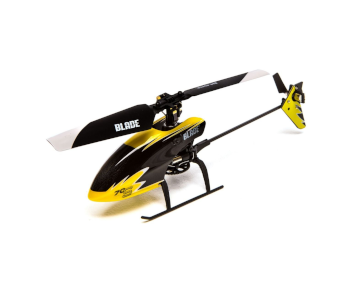 It’s a 450 size heli which is perfect for advanced beginners ready for a collective pitch heli. The V450D03 flybarless copter is not cheap, and it is small. It uses high-quality carbon fiber reinforced plastic in the build. The size and non-metal parts keep any crash damage costs to a minimum, and that’s always a good thing. The D03 can fly safely indoors or at outdoor public spaces like parks. The 6-axis gyro keeps the craft rock steady in the sky. It’s something that gives pilots confidence when performing 3D aerobatics. The brushless outrunner motor has decent output power and seems highly efficient. The maximum flight time can reach 10 minutes with ideal conditions and in normal mode. That’s a lot more than some of the rival helis offer. This tiny craft comes with the Walkera Devention 7 (DEVO7), 2.4Ghz digital transmitter. It’s a high-end 7 channel entry-level DEVO. The product has all the features you could need to fly and control this 6-Channel heli. It can also store 15 model memories which are invaluable for serious RC’ers. The 8–10 minute flight time is a lot better than many rival copters, but it’s still short. It also goes down to around 6 minutes when flown to the max. Additional batteries are must-have extras to continue the flying fun. The cost is quite high when compared to other models on this page. It’s an excellent value 450 flybarless copter, but it’s $400+ price tag is not small change.